The Birchwood Boat Company is based in Nottinghamshire in Huthwaite. The company are known for building high quality luxury boats. They are also known for their smaller boat designs which have become very popular. Birchwood joined leading interior designer Originata to offer their motor yacht owners a unique Birchwood experience. They began creating luxury yachts with a unique interior to give their customers a choice of different ranges of interior styles. From this Birchwood became the first boat company to offer their customers a choice of interior due to their own personal specification. This helped Birchwood gain a pristine reputation in providing their customers with a new high standard of customer service. The Birchwood Boat Company went into administration in 2003 but was sold to Birchwood Marine Limited nearly a year later. This secured the Birchwood name, heritage, reputation, and remaining employees. 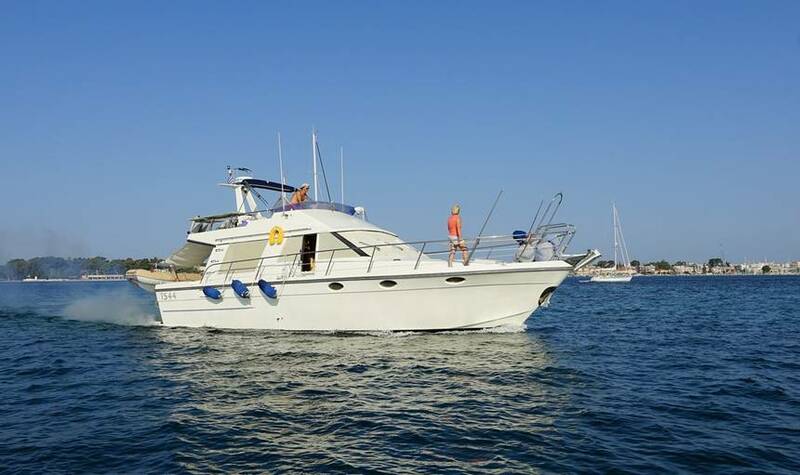 This beautifully spacious motor yacht is perfect for the family. While it offers Birchwood’s stunning interior combined with space, it also ensures that it is family friendly and family safe. 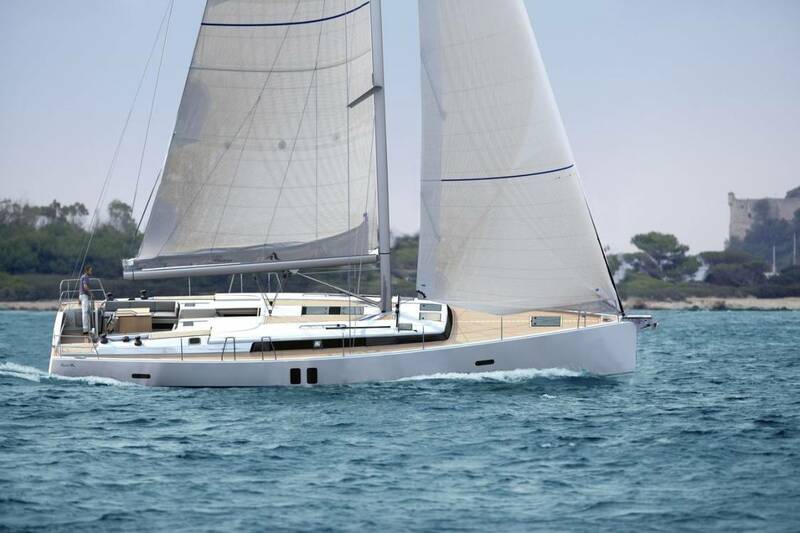 This yacht offers wide side decks to ensure that everyone is safe on board. The Birchwood 340 is a versatile yacht offering its crew high speed and exhilarating experiences at sea, but also offers a comfortable cruising along beautiful waters. 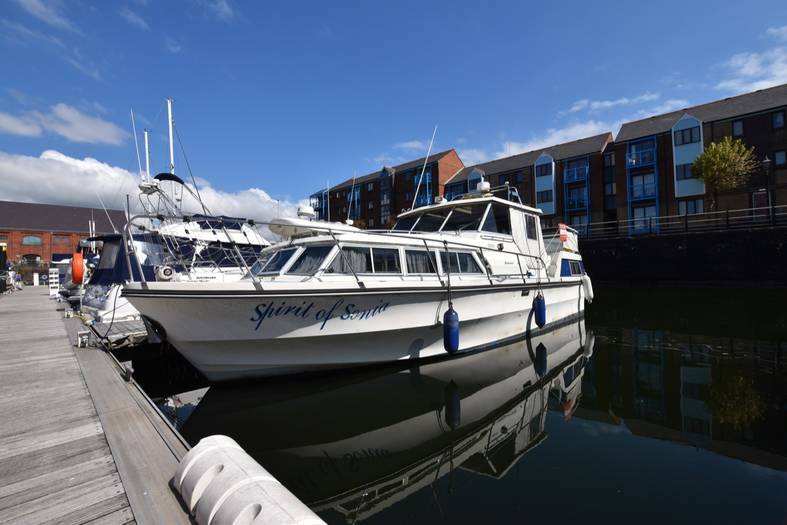 This Birchwood was built in 2004 and offers 2 berths with maximum of 6 people. The Birchwood 340 has a 2 x Volvo Penta 300 HP TAMD 31P engines.